Ten Major Categories of Delta Air Lines Employees: Delta Air Lines, Inc., also known as Delta Airlines is the largest airlines established in 1924. It is a major American airline, with its headquarters and largest hub at Hartsfield–Jackson Atlanta International Airport in Atlanta, Georgia. Delta Airlines employs more than 82,000 employees worldwide. 12,000 mainline pilots of Delta Air Lines are represented by the Air Line Pilots Association, International and are the union’s largest pilot group. Approximately 180 flight dispatchers of Delta Air Lines are represented by the Professional Airline Flight Control Association (PAFCA). 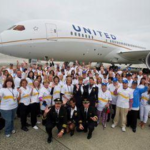 Among 82,000+ employees, every one may belong to different departments of Delta Air Lines. Below, we have listed the Top Ten Major Categories of Delta Air Lines Employees. 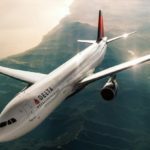 Here in this article, we have provided the Ten Major Categories of Delta Air Lines Employees i.e. most of the Delta Air Lines Employees fall under these ten categories or departments. People who are interested in making their career in Delta Air Lines can check out the below list of categories. Cargo operations: In this category, Delta Air Lines Employees will have to help the passengers reach their destinations as Delta Air Lines serves a wide range of its clients/customers in the safe and efficient transport of mail, freight, and other cargo. Employees need to assist the cargo customers i.e. they need to provide rate information, sell cargo space, track & trace freight and resolve customer problems. Additionally, employees should safely move cargo/freight from a warehouse location to airport ramp areas and ensure proper delivery onto the appropriate aircraft. Ramp operations: If you like working outdoors and are a strong, safety-minded team player, then this is the job for you. This is a category where you will be working in an enjoyable team environment and making sure that the passengers’ baggage arrives safely when they do. Ramp operators have to lift, load, unload, and transport baggage, mail, and cargo to and from aircraft. Employees should also operate ground support equipment such as tugs, conveyor belts, and tow tractors. In-flight services: A Flight Attendant’s job revolves around the clock and your life has to move with it. In this category, most of the employees are flight attendants who must ensure that the customers are comfortable in the course of Delta Air Lines flights with gracious attitudes, winning smiles, warm customer service, and professionalism. Information technology: From Operations Control Center (the heart of the airline) to laptop support to an array of projects that demand the best thinkers and creators of technology, IT opportunities at Delta Air Lines are challenging and rewarding. The employees falling under this category undertake computer-related issues for the airline, in support of all the other departments. Pilots: Pilots are the aviators who move the airplanes in Delta Air Lines fleet from point to point. They must ensure that the passengers arrive at their destinations safely and on-time. Pilots at Delta Air Lines earn their wings while helping the airlines move full speed ahead. Technical operations: Nothing is more important than the safety of the passengers and crew. Therefore, Delta Mechanics and other Technical Operations team members are contributory in ensuring that every aspect of every plane is in a perfect working condition prior to takeoff. Gate operations: Delta Air Lines employees falling under this category must provide their services at the airport at the front/ticketing counter, gate area or baggage service office. You will be recruited to assist the customers with checking–in, ticketing, tagging/handling baggage, boarding, deplaning and dispatching flights on–time. Flight operations: Delta Air Lines employees who are selected for this category, plays an important role as they must ensure that the smooth operations from pre-departure to safe arrival to the destination. Flight Superintendents must provide a coordinated assistance in the planning, monitoring, and support along the route. 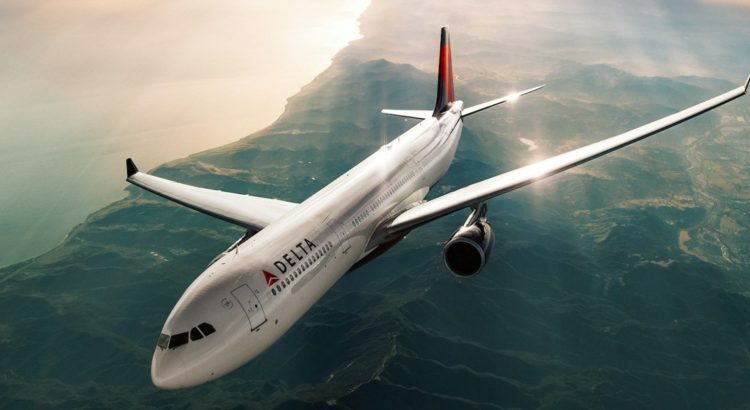 Among the opportunities available in this category you may be selected as technical writers, navigation specialists, simulator technicians and crew schedulers, where you need to work to support Deltas pilots to safely operate for Deltas more than 2,500 daily flights in the US and around the world. Reservation Sales: Employees under this category must work in one of the Reservation Centers of Delta Air Lines. 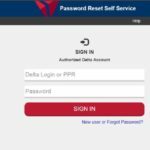 Where you are expected to assist the customers in booking reservations on Delta and Delta Partners and Affiliates of Delta. This job will involve answering questions regarding destinations, schedules, fares and related matters to ensure a positive travel experience. Corporate/Management: From Marketing to Finance to Human Resources and everything in between, the corporate professionals of Delta Air Lines directly support and enhance the passenger service efforts. And they need to keep Delta operating at the proper altitude. Here, are some of the roles within the Corporate/ Management department – Logistics Coordinator, Risk Management, Project Managers, Performance Leaders, Engineers, Health and Welfare Specialists, etc.